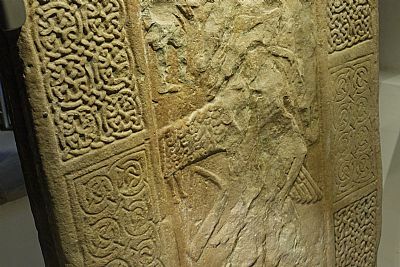 The eighth-century Pictish cross-slab at Nigg is one of Scotland's greatest art treasures. Admired and studied by scholars all over the world, its ornamental cross resembles a manuscript page. The fantastic intricacy of the carving, the whirlpools of spirals, and the heaped up knot of snakes, with tails and tongues endlessly intertwining, is only paralleled in the illuminations of the great Gospel-Book of Kells, made at the island monastery of Iona. 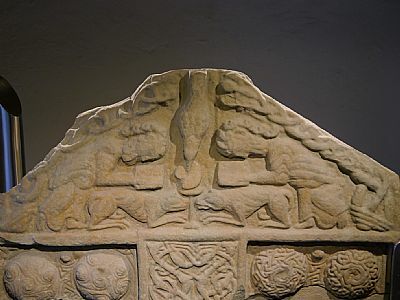 The carvings include a unique illustration of a miracle, the first monks, Paul and Anthony, receiving bread in the desert from a raven sent by God: and David, King and Psalmist, saving a sheep from a lion, his harp (modelled on a contemporary Pictish instrument) beside his shoulder. The treatment of these themes speaks clearly of the spiritual and pastoral concerns of the early monastery on the Nigg headland site. 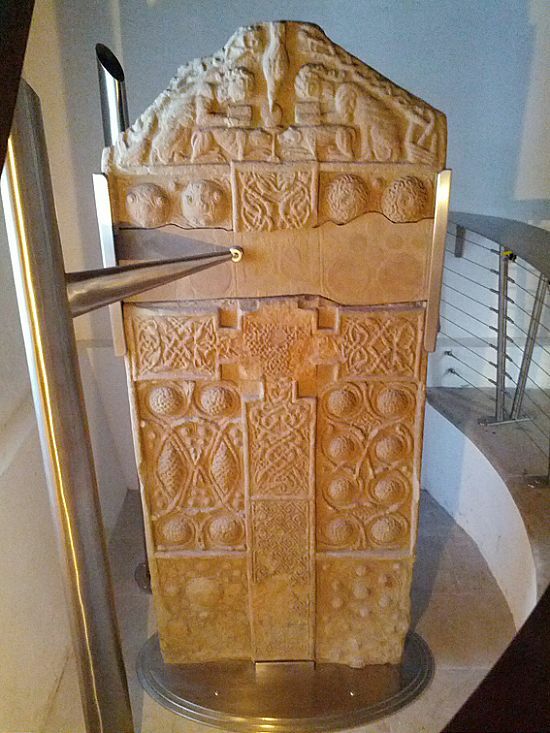 In the mastery and range of its carving and the superlative technique, to which nothing seems too difficult, the cross-slab at Nigg is acknowledged as one of the noblest representations of the Cross in early medieval Europe. Rated by visitors as 'incredible', 'awe-inspiring' and 'inspirational', this is one point on the Pictish Trail not to be missed.